A colleague of mine took this photo at the National Gallery of Canada in Ottawa where I work as a Docent-Volunteer and Coordinator of Cultural and Art Lectures. When the photo was taken I was actually choosing the art works I wanted to present next month in my little art talks I give in the galleries. I picked Job by Jan Lievens, it is a very interesting picture and Lievens was under the influence of Rembrandt and Caravaggio, you can see that in his paintings, many of which are on Biblical stories. The painting I am pointing to in this photo I never presented though I like the subject and its composition. In this painting we see Job sitting on a dung heap being castigated by his wife and tormented by demons. 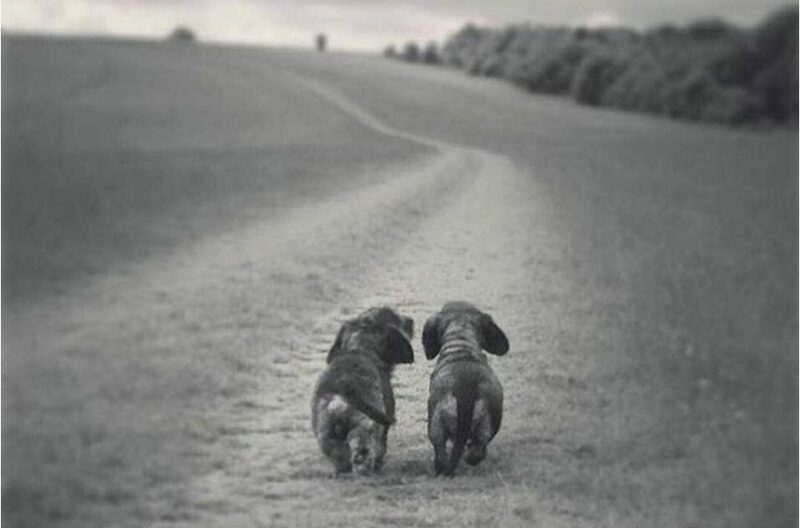 His wife bemoans the fact that God has abandoned them, he answers her, You speak like a foolish women, God gives and God taketh away, we were happy then we are happy now. 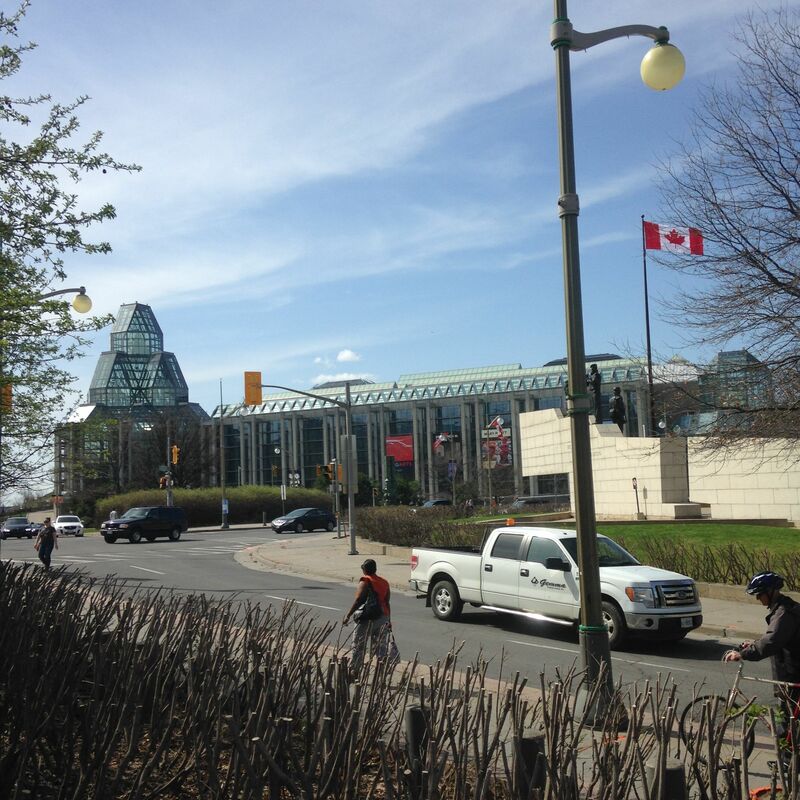 This week I had 3 days of duty as docent at the National Gallery of Canada. One was hosting the Wednesday Morning Lectures-Mercredis Culturels, I coordinate that program in French and in English. Then I had a school group, the students around 9 years of age where quite good and had lots of good questions and observations, the teacher was also interested and helpful, that is not always the case. We also had a training session, unfortunately the NGC is under a lot of renovations in preparation for Canada’s 150th Anniversary of Confederation. The Canadian Galleries are being completely redone, the Bookstore is getting a facelift after 27 years in the same spot. There is also some work installations in the Contemporary Galleries which are taking more and more space at the NGC and slowly eclipsing the other collections. Also all the lights in the museum are being converted to LED, apparently that is better. I also presented a work of art by Matthias Stom, Flemish School of Painting, 1630, entitled The arrest of Christ. I never know who is going to come and listen to my presentation which last about 10 minutes,”officially”. I had a father with his little daughter who was 7 yrs old and she wanted to know what a Museum guide did, she was very attentive and a little overwhelmed. I also had a couple from Spain and a Muslim lady who told me how much she loved the museum and was appreciative of my presentation. Another lady wanted to give me a tip, which I declined. The subject of this painting from the Baroque period is religious and so I was not sure how it would go over. You cannot count on people knowing about Biblical stories or even being able to identify the Deity nowadays. At any rate I concentrate on the colours, the light and other details of the composition such as facial expression, clothing, hand gestures etc. I speak about the painter and the technique he used and then speak about the frame and how it was made. One person did ask me where this scene was taking place and another asked who was Judas. Christ is looking up towards Heaven and one person asked what is he looking at given the violence around him, I said God the Father which confused them, many do not know who that is. A bit like in another tableau where the Virgin Mary and Jesus are featured, many Renaissance paintings (1300-1600) have a strong religious subject. One fellow asked me who was that women with the baby in her arms, before I had time to answer a 9 year old who was also looking at the painting said, that’s Mary and Jesus, thank you kid and shame on the adult. I take that sort of lack of knowledge as a sign of the age we live in, we think we know a lot but in fact we know nothing and understand even less. To me that is really sad and unfortunate. Quite a few people do not understand why European paintings of the Renaissance and Baroque period feature religious themes, despite the fact that the explanation fact sheet explains where it came from. There appears to be this belief that since we all know religion is bunk then why show it, it’s boring I am told. Sad really, I often have to explain that the European galleries show 900 years of paintings and through the ages style and fashion evolve and we are showing this evolution in human history. The galleries are arranged like a clock when you start you are in 1290 and when you finish at the other end its 1970, still many just don’t get it. Well I console myself, thinking if one visitor I spoke too loved it and was inspired my job is done. I wonder if anyone has done a study of why more women come to the museum than men. I am sure there must be a thesis some where on the topic. I did observe that in Europe there are more men in Museums in general but in North America it is different, culture no doubt. Finally, I always make a point of going through the galleries whenever I have a moment at the museum to look at what is new. In the last week I counted 15 new works on the wall. They had replaced other works, so the rotation happens more quickly now than before, the NGC can only show about 1000 works at the moment with the space we have, the basement has over 35,000 in storage. This of course is not counting the sculptures, the Diploma works of the Canadian Royal Academy, the photographies and all the sketches and prints. We do have a very rich collection. While I was walking in the 19th century gallery, a work by Henri Fantin-Latour (1836-1904) caught my eye, entitled Roses, 1885. The simplicity of presentation and botanical accuracy of his still-life paintings prompted many critics to compare him to the 18th century painter Jean-Siméon Chardin. What I did not know and discovered was that Fantin-Latour would pick flowers from his own garden early in the morning, arrange them and then create a painting of them. He became famous for his delicate portrayal of roses. Les Roses, 1885 at the National Gallery of Canada. I also noticed on the explication note that he would cover the canvas with a thin layer of transparent colour that would serve as a background- a neutral colour determined by the bouquet he wanted to paint. During the Song Dynasty in China (960-1127) painters would do this also on their canvas applying a thin layer, with a broad brush, of black tea and ink. Unfortunately the reflection of the glass does not help, however I purchased this in Beijing from an artist of the Chinese Central Academy of Arts, Ms. Zhai Wei. She applied a thin layer of black tea and ink before painting the little sparrows on a ficus branch, thus imitating the style of painters during the Song Dynasty. 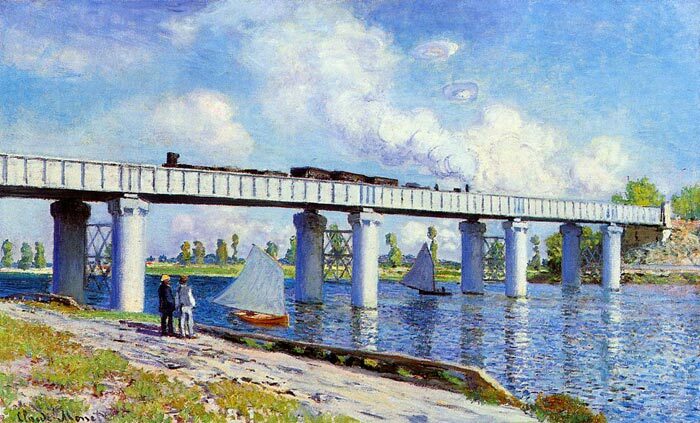 The National Gallery of Canada http://www.gallery.ca has just opened a new exhibit entitled ”Bridges to Modernity” on paintings by Monet done between 1872-1878 while he lived with his growing family in Argenteuil a suburb of Paris on the Seine river. This is years from his move to Giverney where he will live later in life. By the dates we have a young painter, a young Monet before becoming famous and also the dates 1872-1878 are crucial years just after the Franco-Prussian which France lost with devastating consequences, loosing Alsace-Lorraine to the new rising power of a unified German Empire proclaimed at the end of that war in the Palace of Versailles. Following the war, the French Empire under Napoleon III, the nephew of Napoleon collapse. France slipped into a terrible civil war devastating Paris and seeing score of Parisians killed by a French Army gone wild, Tuileries Palace was burnt to the grown and so were scores of other public buildings like the Paris City Hall. 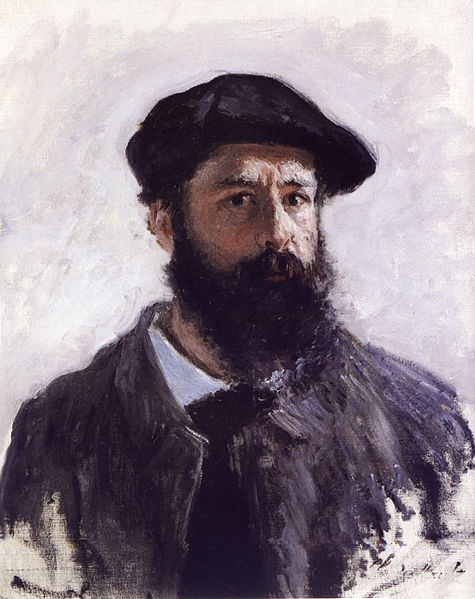 At first Monet fled to London where he will paint the bridges of the Thames river and then returning to France will settle in Argenteuil well outside Paris and will paint the bridges being rebuilt over the Seine river. Railway and trains and train bridges are a fairly new phenomenon at the time and impressive engineering work also created a lot of interest. This exhibit shows the devastation on infrastructure of this war and the re-building that took place and the return to a normal life. 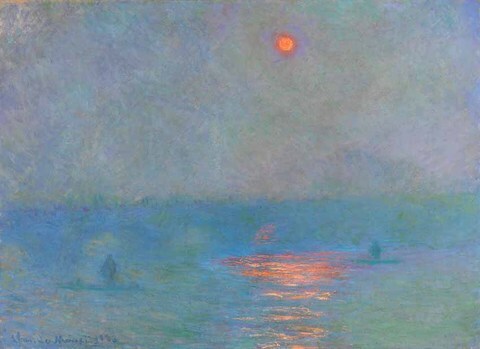 The colours and composition are very interesting and already shows what will come to be known as Impressionism, which is defined as a personal reflexion and impressions of the artist on his surroundings. 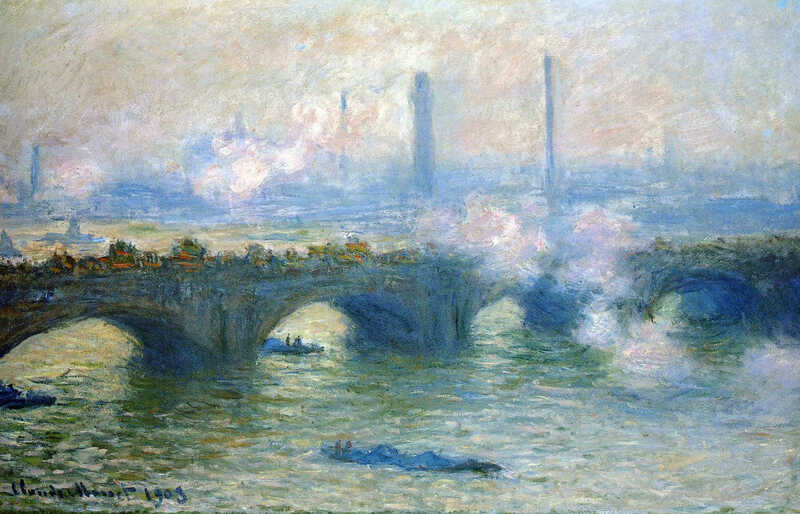 From the balcony of his London hotel room overlooking the Thames, Monet could see Waterloo Bridge if he faced to his left. He worked on this subject through the afternoon and after dinner. 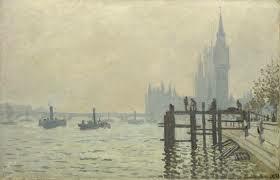 In this painting the morning mist partially conceals the industrial landscape of the opposite riverbank. So once again, the real subject becomes the atmospheric variations of the London environment. 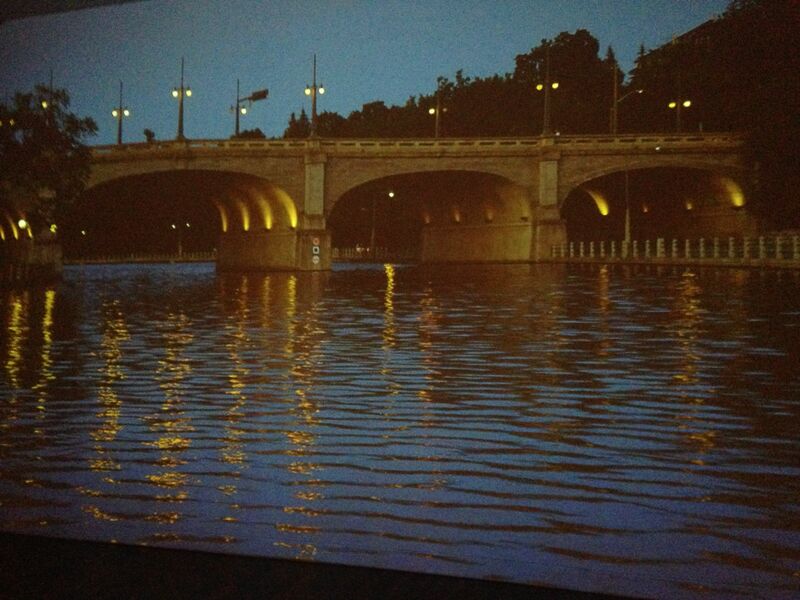 At the end of the exhibit we have this camera view live from the Bank street bridge over the Rideau Canal in Ottawa. It really is a beautiful exhibit by a master and to this day a much loved artist. See it until 15 February 2016. 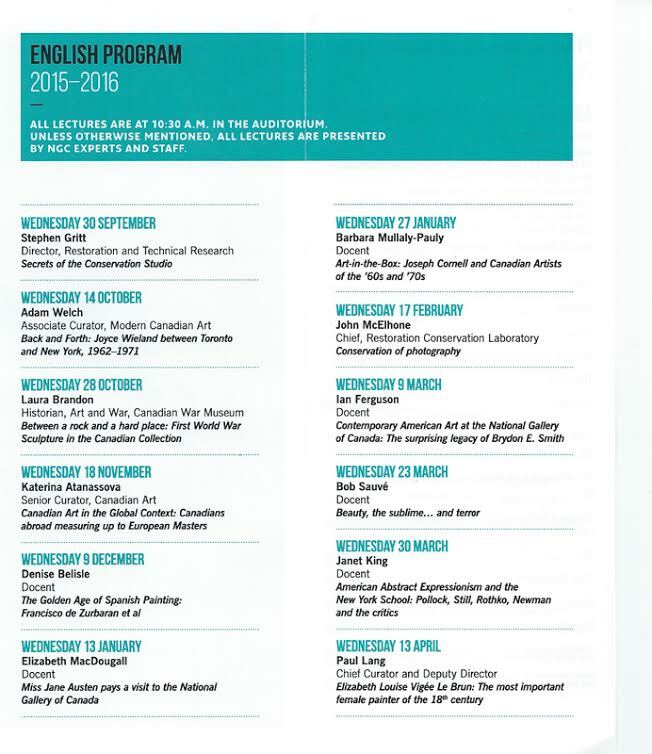 For the last few years I have been organizing for the National Gallery of Canada a series of French language lectures given on Wednesdays. The topics have been varied but are focused on the Arts, Culture and artists. 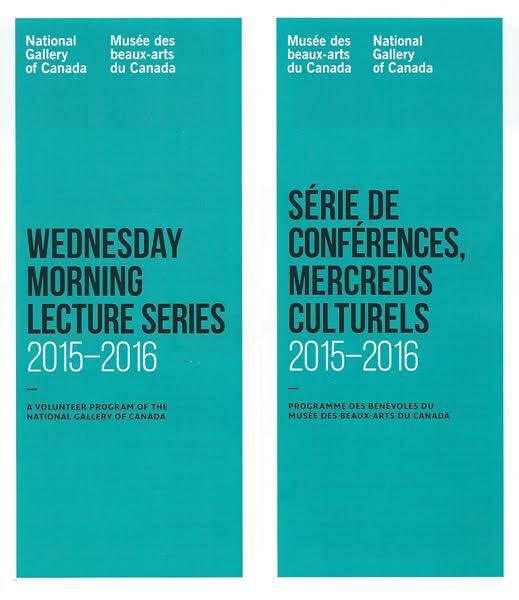 This year after the English language coordinator retired, I was asked to think up a program of lectures in French and in English to be given on Wednesday Mornings at 10:30 at the National Gallery of Canada on Sussex Drive. In total 24 lectures given by experts and curators focusing this year on our Museum and its treasures. The lectures are given one Wednesday in French and then in English the next week, the topic is not necessarily repeated, so we alternate. Not easy to find speakers and create a program which will be of interest to our varied public. I did not have much time to think of a program and worked flat out to produce it in 2 weeks. I am very proud of this achievement and happy to have been able to find the lecturers who volunteered to speak. 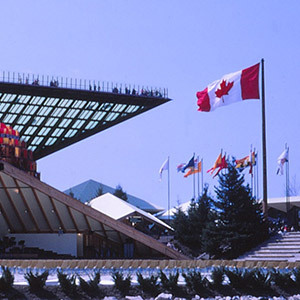 This is the 148th Anniversary of the Union of Canada on July 1, 1867. What to say, I was reviewing films to post with the National Anthem O’Canada and looking at the images displayed I thought what a lot of hokum. It is the usual images of people, cities, nature and let’s not forget the natives. But given the current state of the country and the dysfunctional institutions either Parliament or the Senate or both, the corruption, the lies, the Duffy trial, C-51, the Summer of endless mudslinging and the Federal Election Campaign, the smug Harperites and all those Bills passed by the House and Senate quite a few of them being unConstitutional will end up being rejected by the Supreme Court, etc…. I wonder if there is anything to celebrate this year, now that Stephen Harper is obviously getting political advice from Sarah Palin, Jeb Bush and Fox News. A Summer of discontent! On a lighter note I read something today that made me smile; In the 1960’s people did acid the make the world weird, today the world is too weird so people take prozac to make it normal. There is one book written by Christopher Moore entitled Three Weeks in Quebec City about the writing of the Canadian Constitution which took place in October 1864. Sir George Etienne Cartier, Sir John A. Macdonald and George Brown who influence the deliberations of the Conference are presented as politicians who did not see eye to eye but manage to stir the Fathers of Confederation into a final arrangement which led to July 1, 1867. 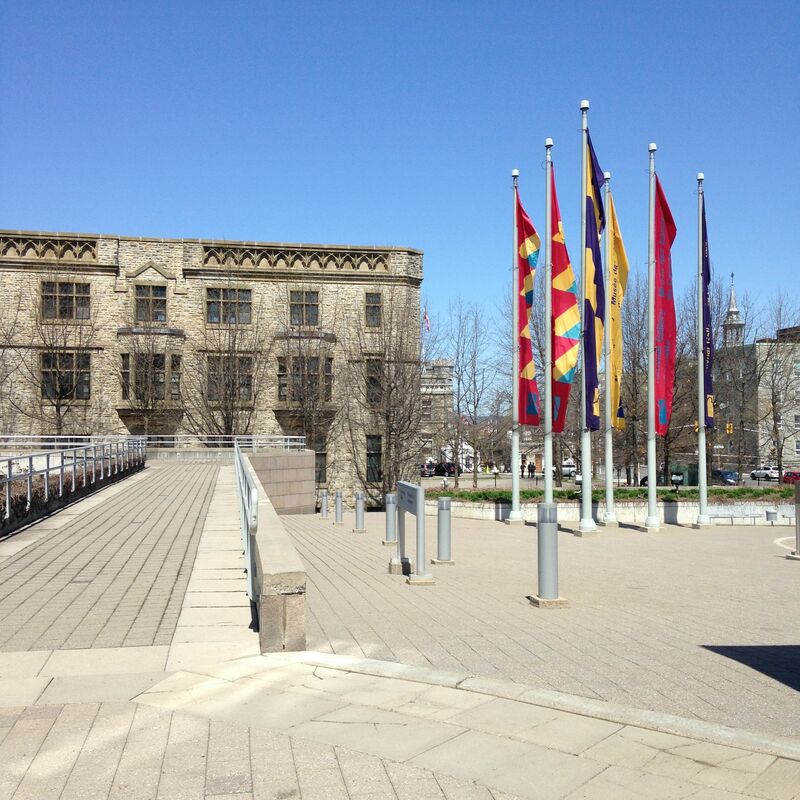 The Museum of History has a wonderful exhibit on the topic currently called Rebellion and Confederation. Maybe historical reminiscence will lead my thinking this July 1. I will probably watch the fireworks from the top of my building with our neighbours as we usually do, more pleasant this way. 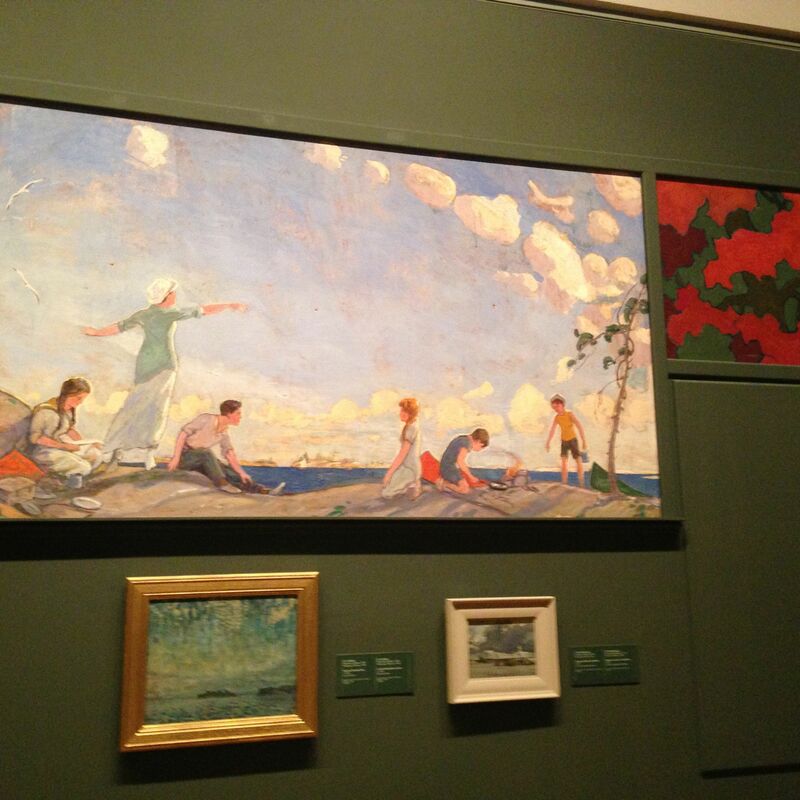 Yesterday at the National Gallery I went to look at the re-opened room containing the wall paintings from the MacCallum-Jackman Cottage on West Wind island on Go Home Bay in Georgian Bay, North of Toronto. The large Cottage was built in 1911 and Dr. James MacCallum was an ophthalmologist and professor at the University of Toronto. He was also a Member of the Arts and Letters Club. He knew a lot of artists in Toronto and he wanted to commission wall paintings on Canadian subjects. He became friends with artists who would later in 1919 become the members of the Group of Seven, the famous Canadian Landscape artists. Lawren Harris, J.E.H. 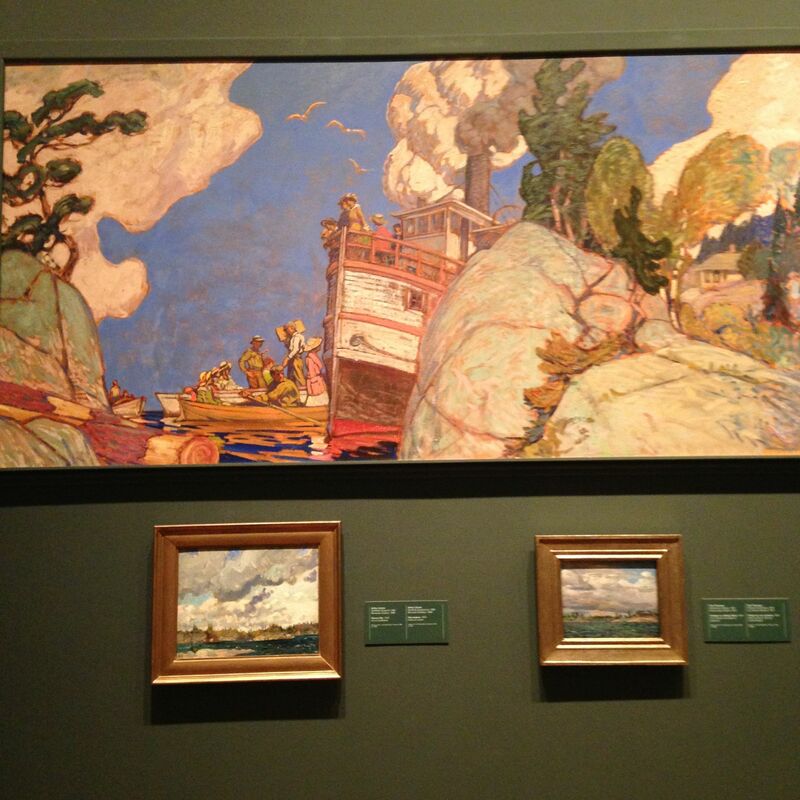 MacDonald, Arthur Lismer and Tom Thomson will work as a team on the various murals. On his death Dr MacCallum bequeathed the paintings to the National Gallery, the new owner of the Cottage Mr and Mrs H.R. Jackman asked A.Y. 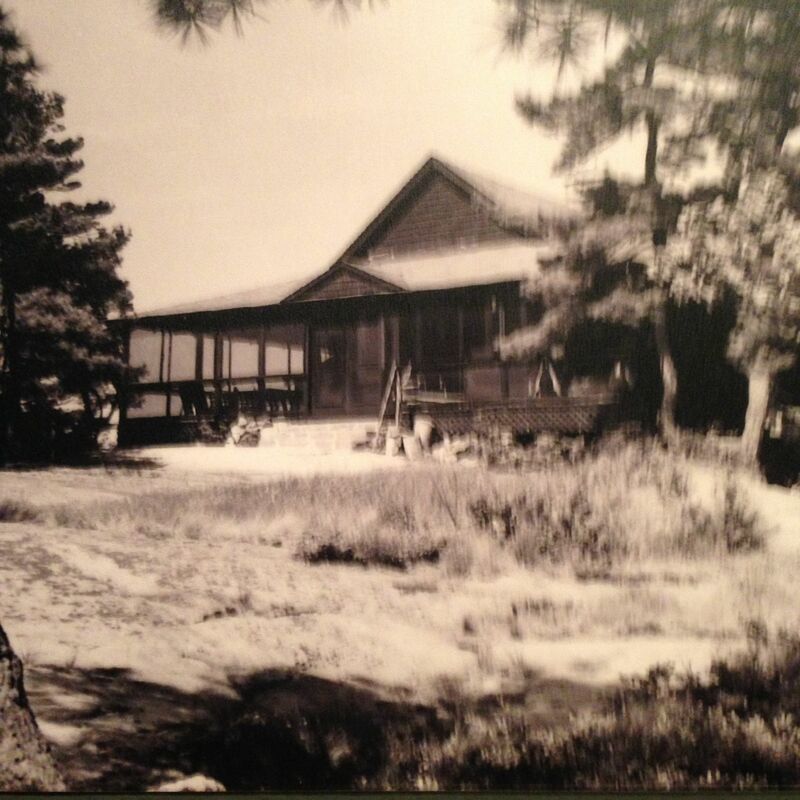 Jackson in 1953 to paint additional more panels for the Cottage. Today the entire collection stands in a room replicating the Cottage living room at the NGC and can be admired by all. 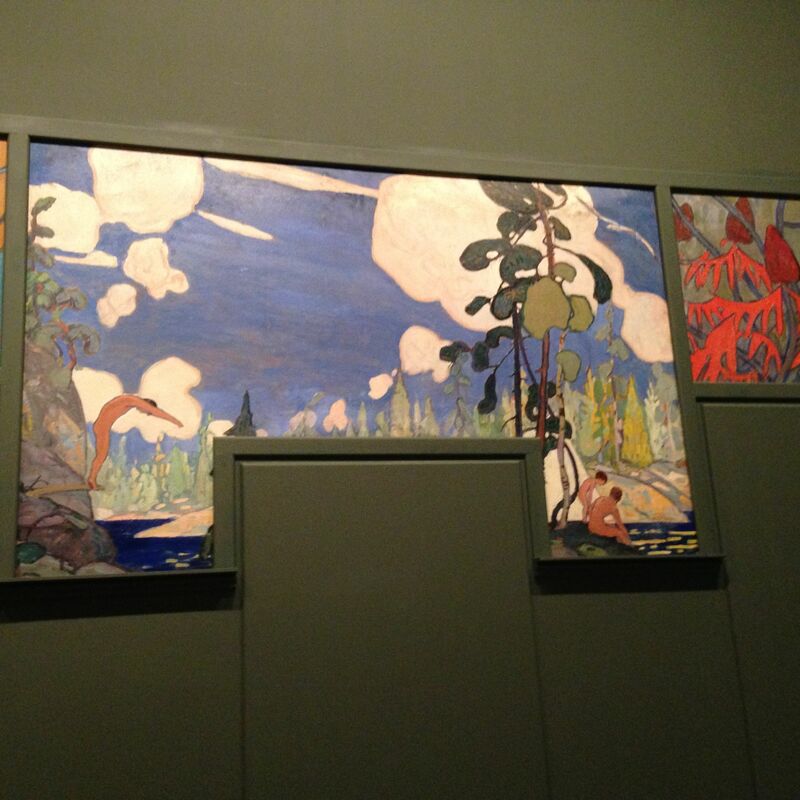 The panels are quite beautiful and represent that period in Canadian History in the first half of the 20th Century when all things were Canadian in theme and spirit, they also show Go Home Bay and the Georgian Bay area for all its natural beauty. Original painted panels decorated the room all around. 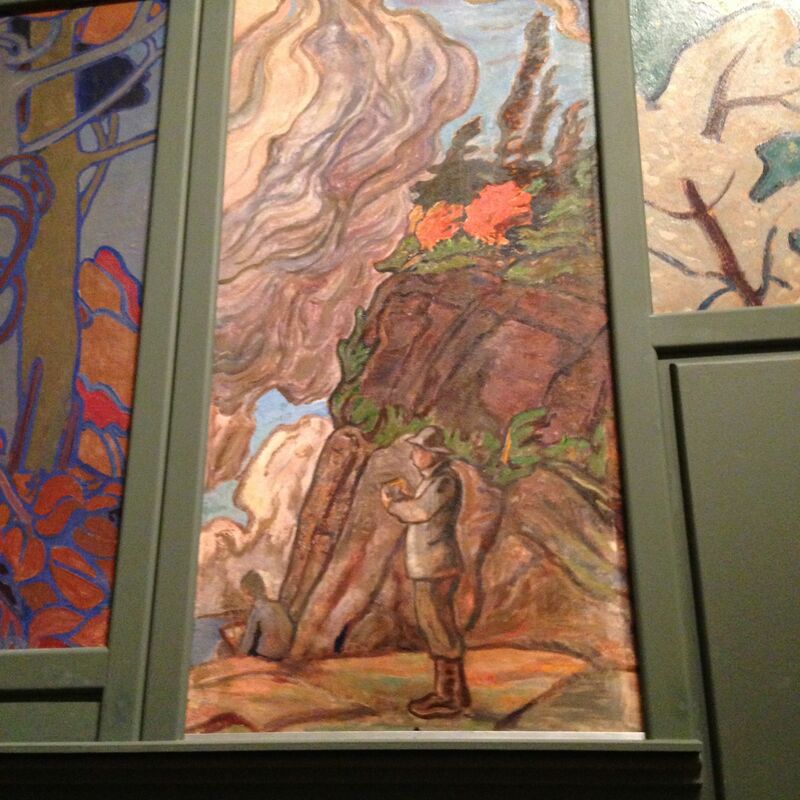 a fisherman and painted panels of luxuriant nature very much in the style of the Group of 7 came to be known. the island like all islands in Georgian Bay are rocky outcrops. 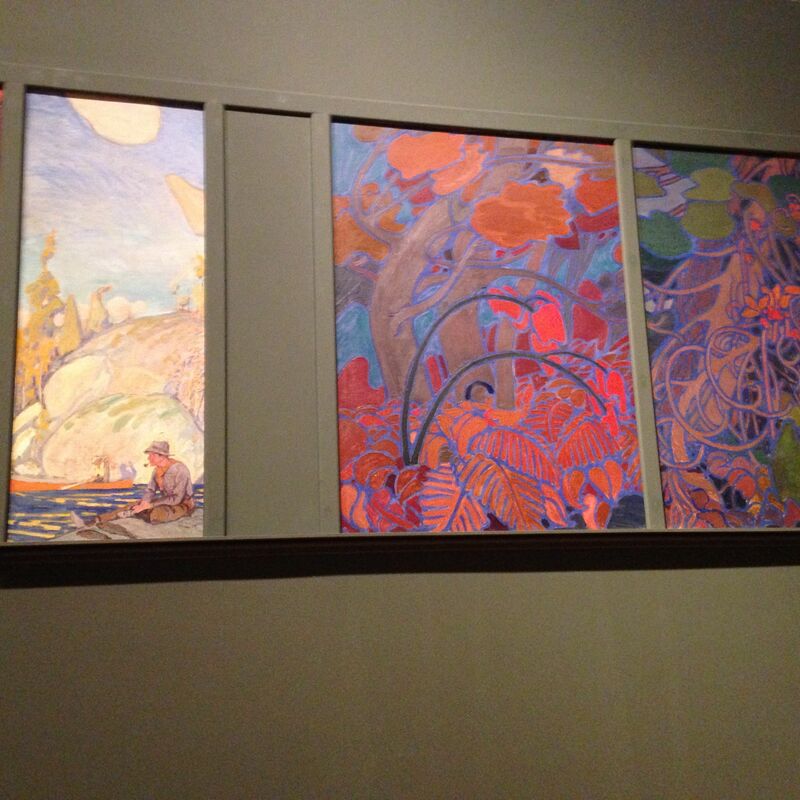 The two little framed paintings below the large panels are more of the nature in the area painted by the same artists later in the 1920’s. this panel was over a window in the cottage which explains the strange shape. Again a familiar scene the ferry boat which brought people to the islands and also brought mail and groceries during the Summer months when most people would come up from Toronto with family for their vacation period. What is interesting about these painted panels is how they reproduce life as it was then. The area today has not changed very much and is still very picturesque. In hindsight this project of Dr. MacCallum is somewhat extravagant when one comes to think about it. 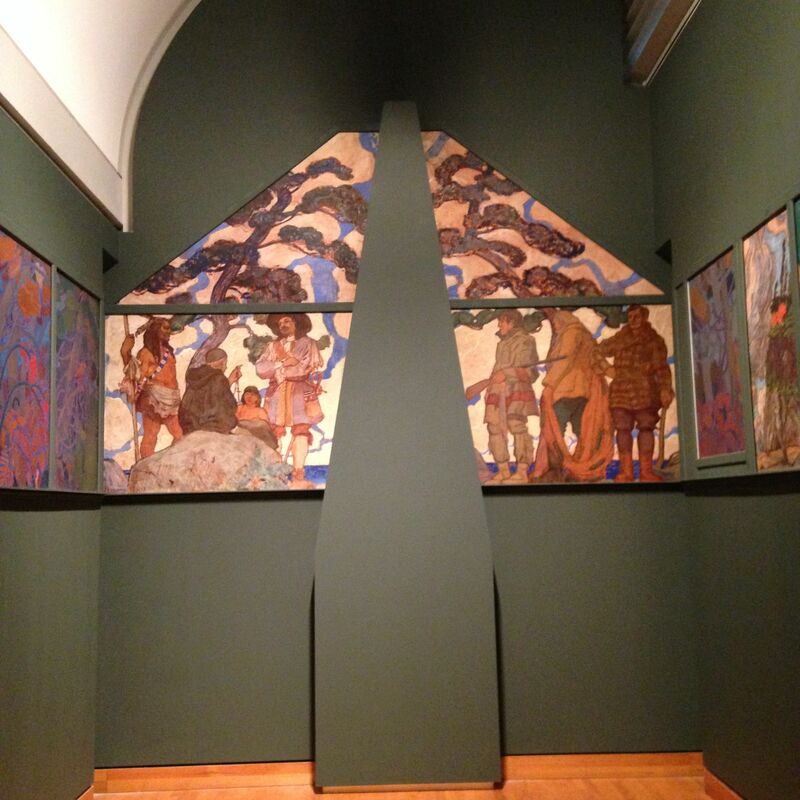 Of course the painters, his friends, who painted for him these panels were not famous back then and no one could envisage the fame they would encounter as of 1919 and for the rest of their lives. Icons of modern Canadian Landscape painting. We are very lucky that Dr. MacCallum and the Jackman’s had the forethought to protect these paintings for posterity, from a simple cottage to the National Gallery of Canada. The activities are winding down for Volunteers at the National Gallery of Canada or I should say we are now going on the Summer schedule. Volunteers are busy in other area with the end of the School year. 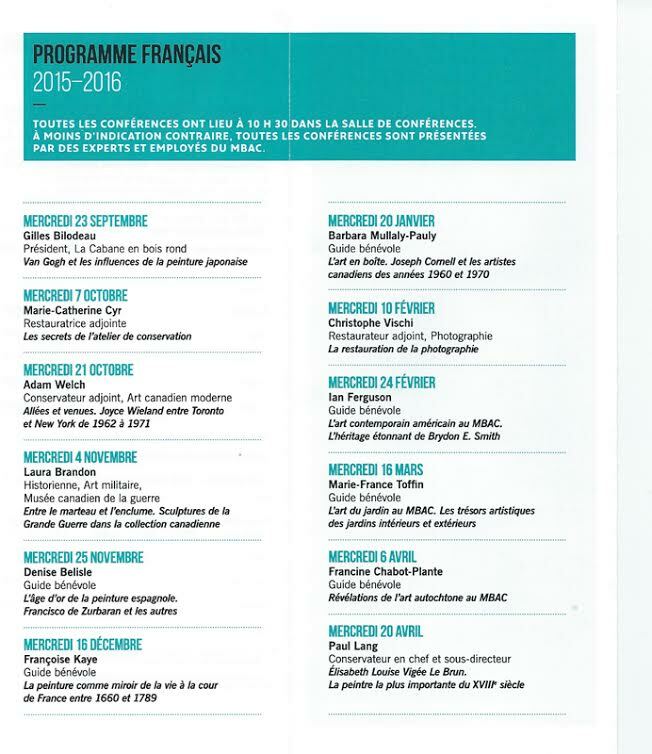 The lectures Les Mercredis Culturels and Wednesday Mornings have ended, our 55th Season. I have just completed the arrangements for the new Season starting on 23 September, we will have 24 very diverse topics for our lectures in French and in English. 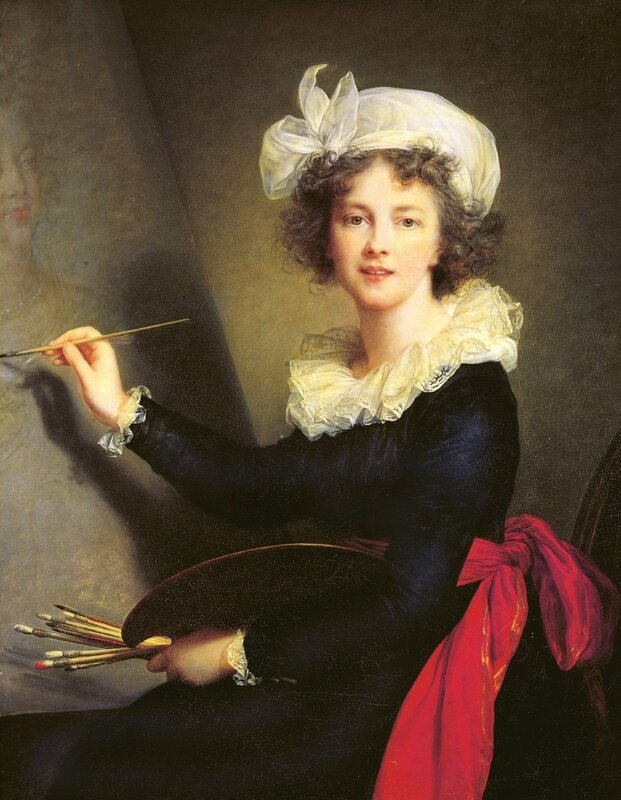 This new Season will focus on the Museum its collections and experts with a special presentation on Louise Elizabeth Vigée-Lebrun who was the Official Court Artist of Queen Marie-Antoinette. She will be the topic of our Summer Showcase in 2016. Vigée-Lebrun painted beautiful portraits of the Queen and her children, her friends and other notables at Court. She will go on after the arrest of the Royal Family to work in Italy, Austria for the Mother of Marie-Antoinette, Empress Maria-Theresa and at the Russian Court in St-Petersburg before returning with the Restoration and Louis XVIII to Paris. She was such a great artist that during these long years of exile she will never be out of work or alone. She is invited to all the European Courts and paints the greats of this world. In 2016 the NGC marks the year of women artists so Vigée-Lebrun is a fitting subject. During the Summer we still have the daily Docent’s Choice and until end June we have in house school groups who come to visit. There are other activities to occupy the Docents, until September when the regular season starts again. It has been a busy year and I am happy to be not so busy. Not to forget Chagall opens on 28 May and the NGC is open everyday from 10am to 6pm. 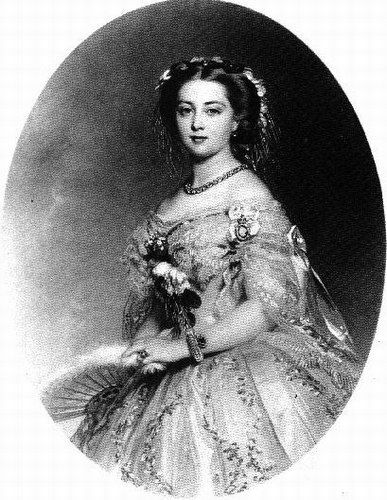 Today 24 May is the Birthday of Queen Victoria who is 196 years old. It is also the National Capital Marathon Weekend, some 10,000 + runners from around the world participate. We live in the middle of Marathon central so our streets were closed to traffic. It is a nice atmosphere, lots of people out enjoying themselves. The story about Queen Victoria and the Capital Ottawa is about how she chose this in the middle of nowhere lumber camp at the entrance to the Rideau Canal to be the final choice for a Capital for Canada. The Chief Minister at the time John A. Macdonald a willy Scot worked his charm on her as early as 1857 by showing her nice water colours of the surrounding area and by 1864 she decided that Ottawa would be it. Not knowing that it was a mud town full of drunk and rowdy lumberjacks. Up to that time Quebec City had been the Capital since 1608 but then politicians moved the Elected Assembly to Montreal, because it had paved streets and lights and then to Toronto which did not have much and then to Kingston on Lake Ontario which was far to close to those damn Yankees. For years we celebrated on 24 May the Empire but after Victoria’s death in 1901, the celebration where held in her memory. 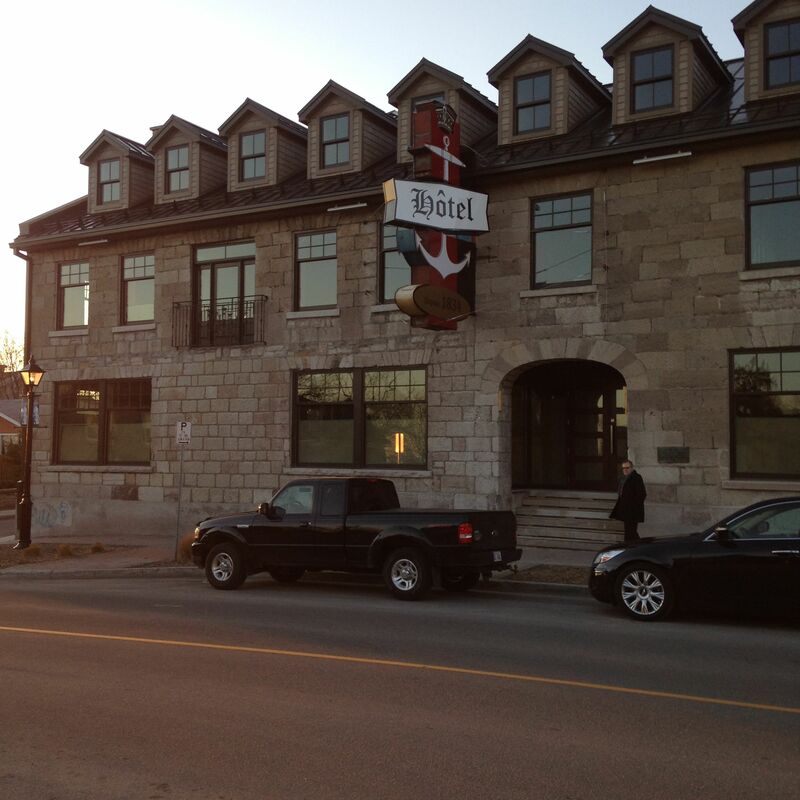 The British Hotel (1834) in Aylmer, Quebec beautifully restored. Aylmer, named after a Governor General, is a small town 10Km West of Ottawa on the Quebec side of the Outaouais River. The town is full of building like this one. The Brit is famous because in the 1950’s all the Jazz and Blues great names came to play here. This was the place. The owner for many decades was this old Polish fellow and when he died at the age of 98 some 7 years ago the family sold the building. It was in very poor state, an investor bought it and voilà. 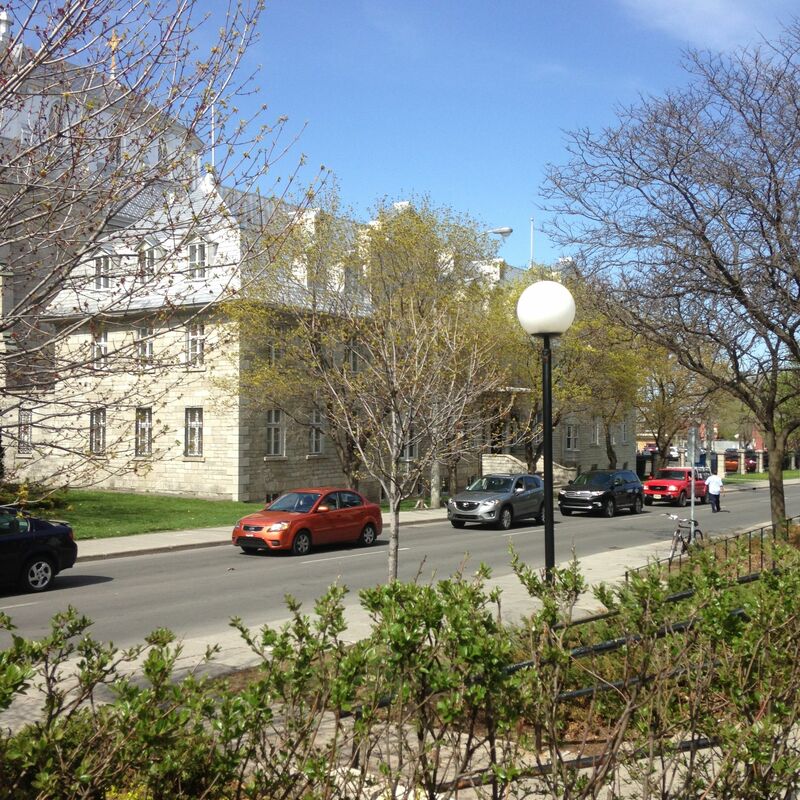 Aylmer was known in the 1930’s to 1960 for the big band and Jazz Clubs who came to this small town and brought with them the monied crowd of Ottawa who also went to the Connaught Racetrack and posh Golf Clubs. The reason for the popularity of Aylmer was the rather liberal liquor laws of Quebec where bars open at 7am and close at 3am. In Ottawa bars opened at noon and closed promptly at 11:30pm. The difference between French Roman Catholics and English Presbyterians. The weather has been very cool if not cold some nights very unseasonal. There is clearly climate change. It is worrisome. Here is some pictures of the last few weeks and things we have been up to. Ugo Rondinone, FEET, which is one of 9 sculptures based on the Chinese Scholar’s rock. Based on ancient Chinese Literati tradition of appreciation for eroded stones that take the form of landscapes or living beings. 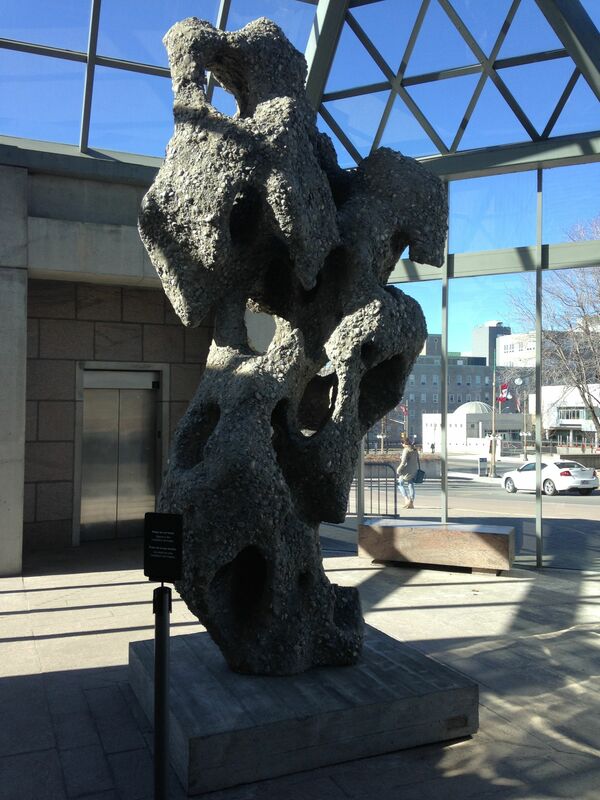 Can be seen in the smaller visitors entrance of the National Gallery of Canada. 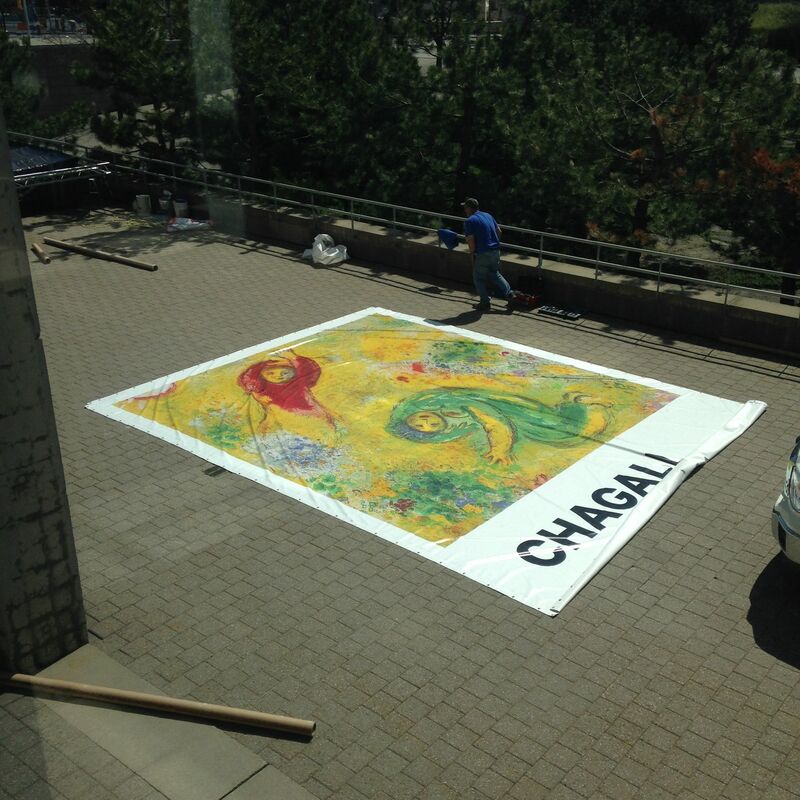 A special exhibit on Chagall opens at the NGC this week. The theme is Daphnis and Chloé. The set of lithographs titled Daphnis & Chloé is considered Chagall’s most important graphic work. Through fanciful compositions and bright hues, the artist illustrates the pastoral idylls of the goatherd Daphnis and the shepherdess Chloé on the island of Lesbos, as recounted in a second-century Greek tale. The Archbishops Palace c.1848 on St-Patrick’s Street on the South side of the Cathedral. The old War Museum which has been closed and empty for the last 10 years, next to the NGC. It was recently sold to Prince Karim Aga Khan for his peace foundation. He is the step-son of Rita Hayworth. The Aga Khan is the leader of the Shia Ismaili branch of Islam. He is a direct descendant of the Prophet Mohammed. He had a very modern Embassy Chancery built next to the Ministry of Foreign Affairs. Though he is considered an Imam in Shia Islam, for a holy man he is not the usual type, he is a ski champion, raised in Europe, he is a billionaire and spends his money on international development through his foundation. 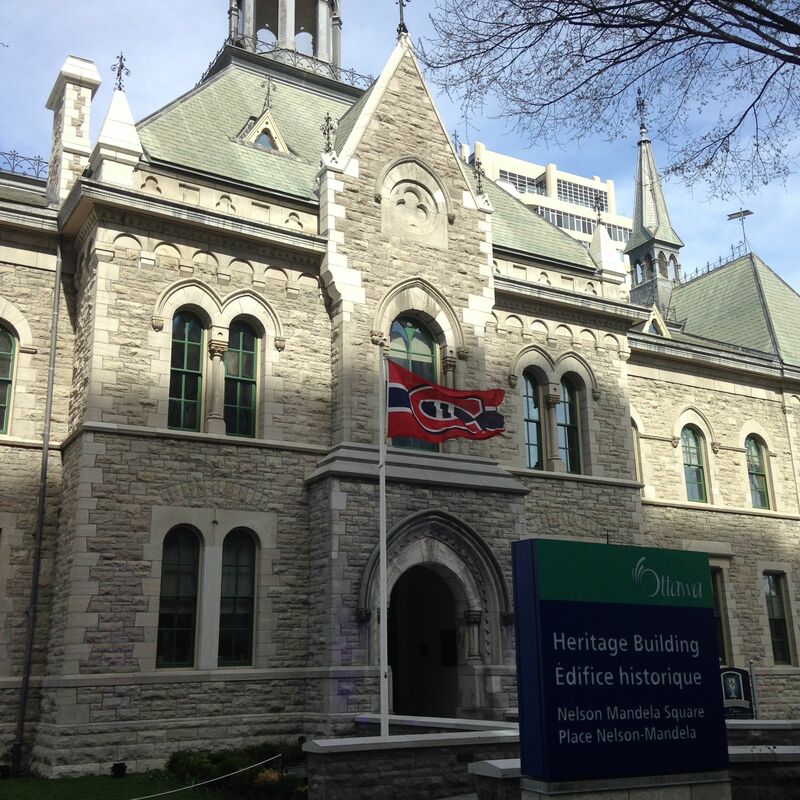 The Flag of the Montreal Canadien Hockey Team flying in front of the Mayor of Ottawa’s Office. After the Canadien beat the Ottawa Senators in the semi-finals. Casa Loma in Toronto, the largest Castle Palace in North America built by General Sir Henry Mill Pellatt in 1913 for the sum of $3.5 million dollars. He was a wealthy and important businessman/investor in Canada and the Commanding Officer of the Queen’s Own Rifles Regiment. 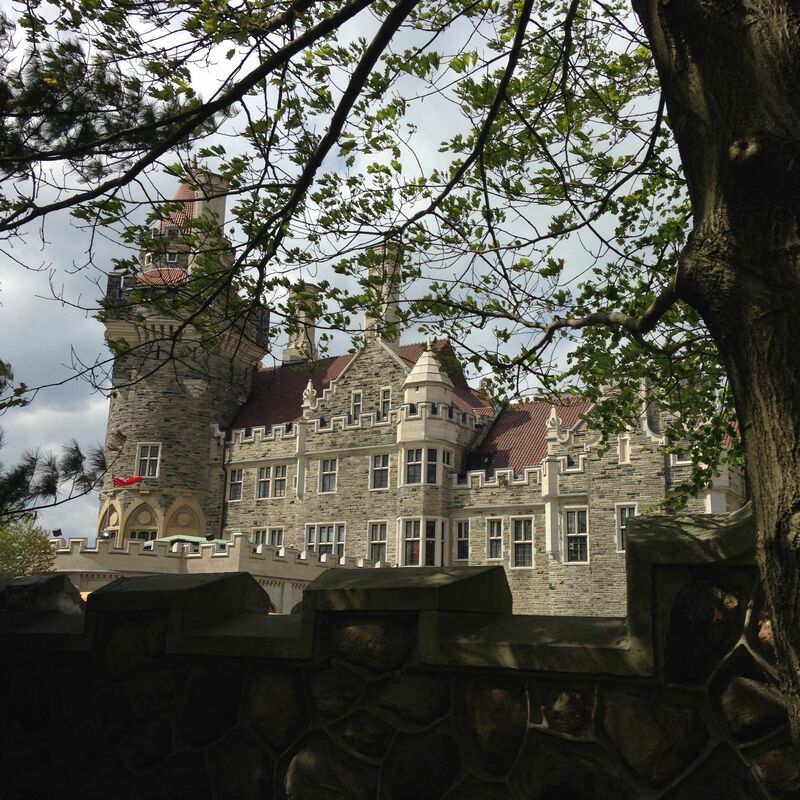 I will have to do a separate entry on Casa Loma it is a wonderful place to visit. Not pictured here is the Lodge and the stables and garage across the Street which are equally grand in design. 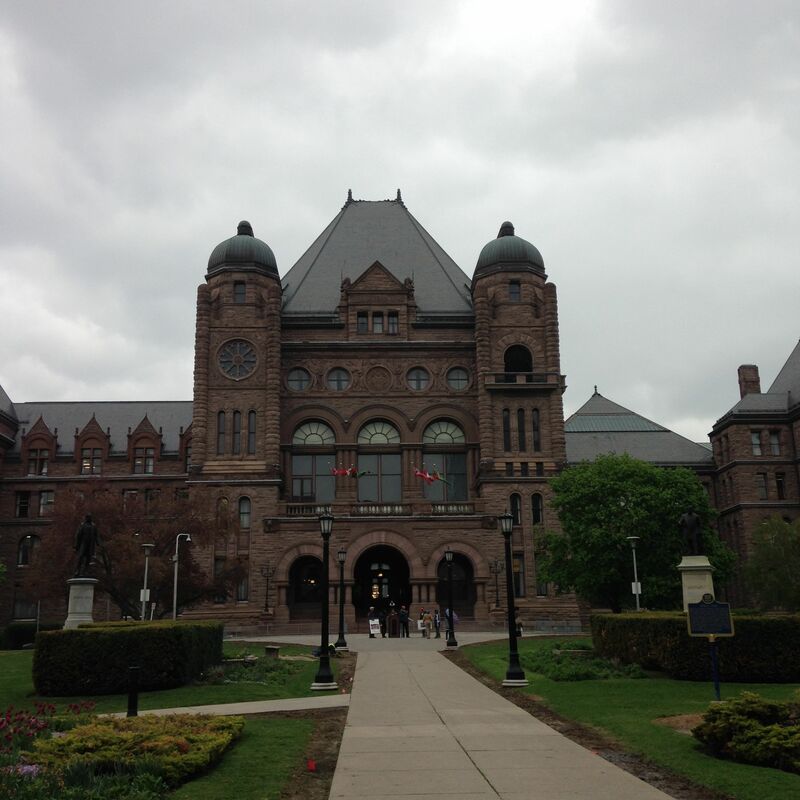 Queen’s Park, Legislative Building of the Assembly of the Province of Ontario in Toronto. The building was completed in 1893 in the Romanesque style. 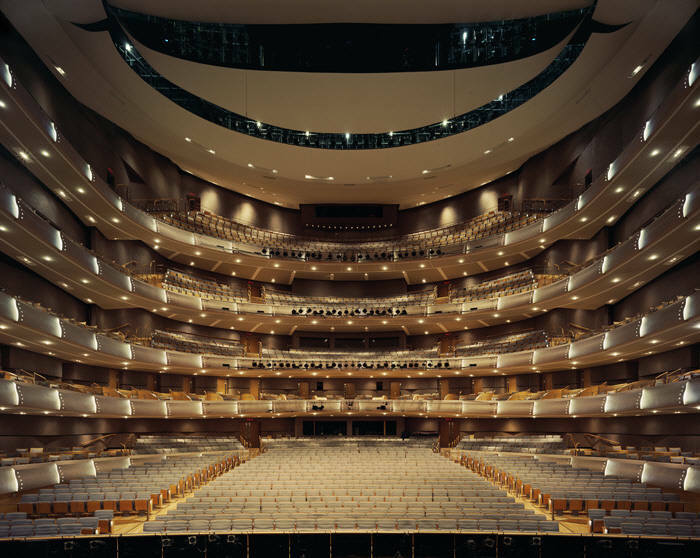 the Four Seasons Centre for Performing Arts on University Ave in Toronto home of the Canadian Opera Company. Opened in 2006.
the auditorium, really a beautiful space. We saw Blue Beard’s Castle by Béla Bartok, a Robert Lepage production and Erwantung by Arnold Schoenberg. 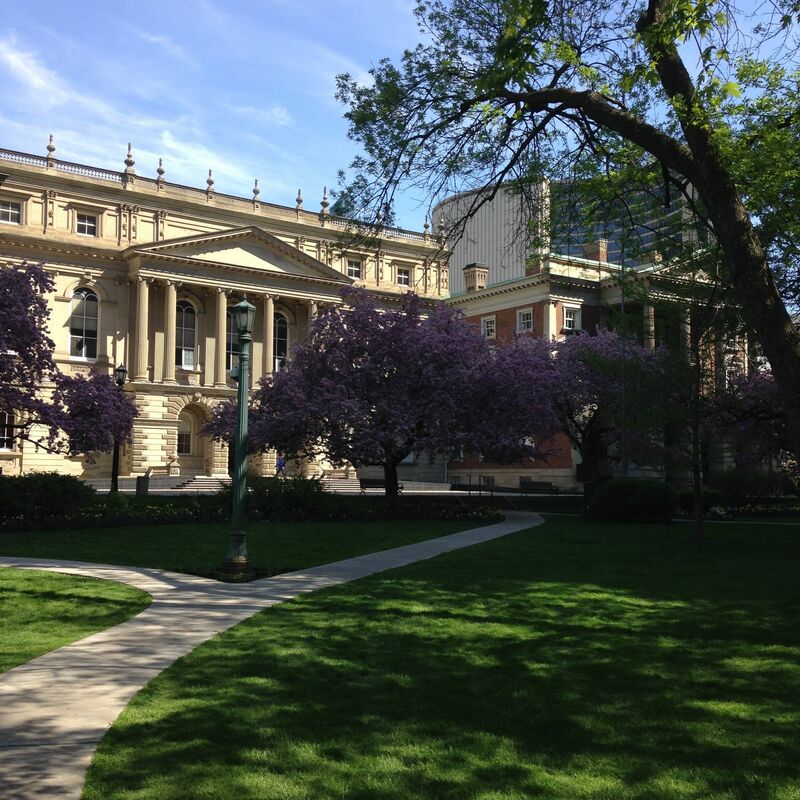 Osgoode Hall, Law school and seat of the Law Society of Ontario. Built in 1829 in the Palladian style during the reign of George IV the building was completed under William IV, it stands across the street from the Four Seasons Centre and next to Toronto City Hall. 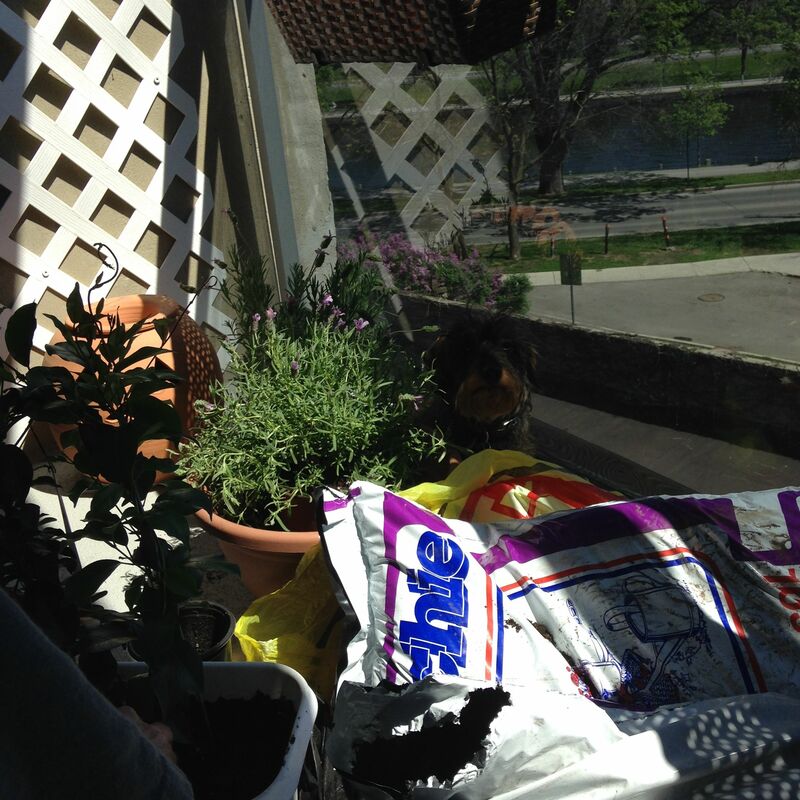 On our balcony while Will is planting lavender and other plants, our Nora, can you see her hiding next to the Lavender.